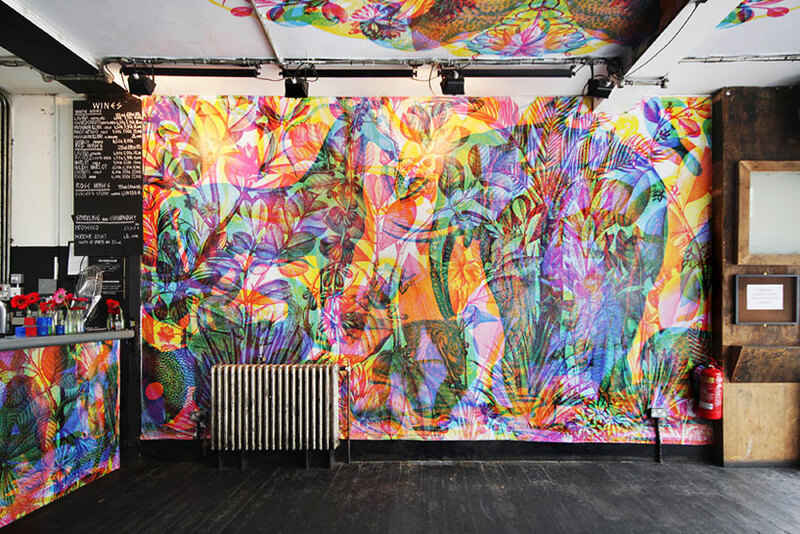 Milan based design duo Carnovsky employ the RGB technique by overlapping a primary colour palette to achieve a detailed and multilayer print. Their latest project La Selva was exhibited at DreamBagsJaguarShoes in London to create a stunning instillation. I can think of a few walls in my apartment that would welcome this effect.